Go to registration form to receive additional information about the class location and your instructor. Thank you. This full day training is for those with strong shamanic journey skills who wish to add several methodology to heal themselves or other integrate parts of the self. 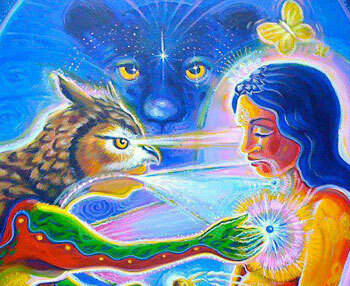 Shamanic Soul Retrieval is best known in the field of hypnosis and psychotherapy as parts therapy. In Shamanism, as in most hypnosis methodology, the focus is on the parts of the self that have been estranged from the conscious self as a result of a traumatic experience in the present life. Unlike what the name infers, it does not include “Ego-Sates” from previous life times. The philosophy behind the coining of the term was that for the shaman, spirit/the soul is in everything that is animate or inanimate. The soul/sprit is therefore present in every human being and as such it can become split from trauma whole. Our understanding to this definition is expanded in this course to consider Ego-States from past lives and the need for Soul Integration. Soul Retrieval pertains to parts that are estranged from the conscious Self and stored in the subconscious part of the Self. Soul Integration pertains that are estranged from the conscious Self and stored in the Superconscious. From a shamanic point of view these part have specific location in the Human energy Field and most specifically for some technique in the Chakras. The methodology will include using shamanic journey, Out of Body Transmigration (OBT), tracking communication with your guides, perception in the Human Energy Field, and communication with spirits and our Spirit Allies. Note: that more than 60% of the class time is spent practicing the skills of journeying to explore non-rodinary reality and helping yourself. Furthermore you have the opportunity to receive valuable ongoing support to practice your new skills and develop further your abilities, when you choose to participate in our monthly Shamanic drumming circle on the fourth Friday. 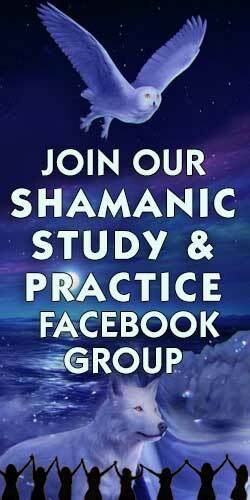 And to enhance your experience further, and stay informed please join our Shamanic Study and Practice Facebook group. By the end of the class you will have established a strong partnership with your Spirit Allies and have a clear understanding of how perform Soul Retrieval using one of the four methodologies taught in this course. You will be able to perform Soul Retrieval on yourself and on others. In a safe a sacred space your will enjoy a rewarding spiritual experience as you develop new skils and deepen your partnership with spirit. Receive guidance, healing and wisdom during the training. A comprehensive manual with detailed instruction of all that you learned in class. Certificate of achievement for Soul Retrieval in Mastery of Awareness™ from the Integrative Energy Medicine Institute. After the class your teacher is available via email or phone to support you on your continuing development. Your communication is always confidential and you have peace of mind of knowing that you have a knowledgeable and experienced teacher to turn to for help. You also have the opportunity to attend the monthly Shamanic Study and Practice circle on the Fourth Friday at the United Presbyterian Church on Seaside Avenue in Milford CT. This circle is dedicated to develop Extra Sensory Perception using Shamanic and Mastery of Awareness methodology. Please contact intructor for details and/or join Facebook group for announcements, mini Playshops, and other events. New Student: Prepaid $150 or $175 at the door. $50 deposit + $100 at the door reserves your place in the class.